Spread Those Toes | Run Inspired. I have a question for you… how far can you spread your toes? No, seriously. Try and spread your toes. How did it go? 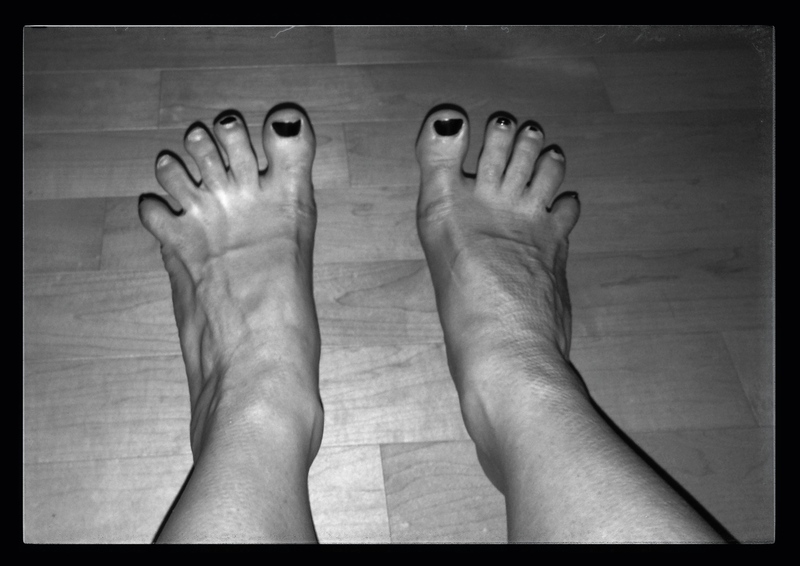 Check out this article to learn some toe stretches. And because I am not ashamed to post a picture of my very old pedicure, this is how far I can spread my toes…. I think growing up with a dance background helps a little. This picture looks really funny to me. Don’t judge. Please. Running Update: Still taking it easy with a little over 4 miles today. Tomorrow I’ll do some cross training just to give my hip a little break. Am trying that under my desk as I type! oh, I should have taken a before and now pictures – slightly odd in the office, but they’re used to me! I have really wierd little toes, they’re feeling much better for a good stretch! I can but it feels uncomfortable. It’s not something I would do naturally. Ankle Flexibility | Run Inspired.